Last week, I posted about two possible outfits which I was going to wear to the Santa Hustle Half Marathon in Daytona Beach this weekend. I really liked both outfit options and received an equal amount of feedback on both. After a struggle, I finally decided on an option, then received this text message from my best friend Keri who is also running the half marathon. 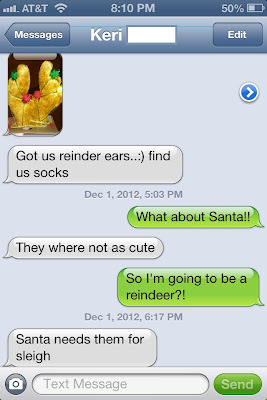 A reindeer?! Seriously? I dress my dog up like a reindeer. 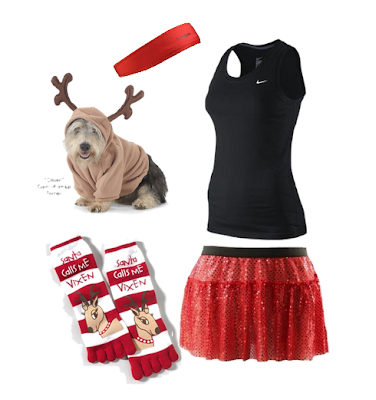 I am not sure how I feel about this but if I am going to dress up as a reindeer for a half marathon, I insist we have a Santa. Therefor, one of our significant others will be fully dressed for 13.1 miles. So here is my final outfit. I am removing the toes from the socks and pulling them over my CEP sleeves. I ordered my Red Royalty Red Sparkle Skirt on Tuesday and it arrived on Wednesday. Very nice to know Sparkle Skirts are located 30 miles from me. Talk about an emergency outfit instant fix. This is not my reindeer dog, nor are these our clip in antlers but I thought it was a cute visual addition. 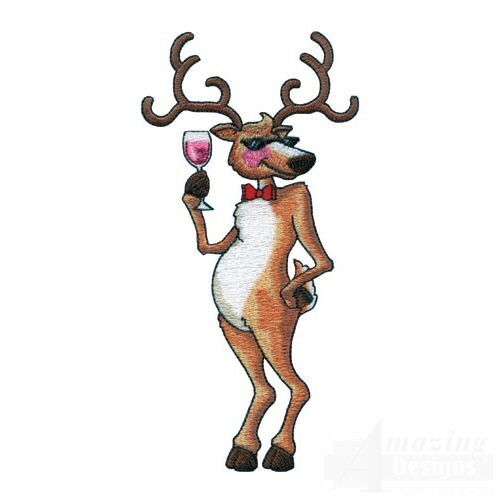 Cheers to being a reindeer. Never thought I would say that. I love the reindeer idea! I bought reindeer antlers at the dollar store recently thinking I'd probably use them in a race at some point, but I just don't want to run in the cold/ice/snow!